“I keep telling my team that we need to be proactive,” Lonnie said. He wasn’t defensive, but you could tell he wasn’t having any fun. “So, tell me what happens?” I asked. “Lonnie, being reactive is easy. It doesn’t require any advance thinking, or planning, or anticipating. Being reactive just happens. “Being proactive, however, requires an enormous amount of conscious thinking. It doesn’t just happen. You have to make it happen. You have to make it happen by design. “At the beginning of the day, I want you to gather your team together. Show them a list of the work you are doing for the day and for which customers. Then ask these two questions. –What could go wrong today? Lonnie smiled. “That’s it?” he asked. 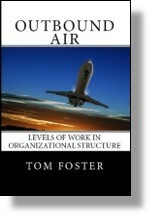 This entry was posted in Accountability, Planning Skills, Problem Solving Skills and tagged planning, proactive, problem solving on April 10, 2019 by Tom Foster.